Annexation reform died in the final moments of the regular session. Mike Stewart, whose home is under threat of annexation, will anxiously watch July's special session debate. Mike Stewart’s neighborhood crawfish boil started as a celebration of the end of the legislative session and — he hoped — the passage of a bill that would make it harder for Texas cities to annex homes like his outside of San Antonio. When a thunderstorm drove the May 28 party indoors, the mechanical engineer and his guests watched as the Texas House passed Senate Bill 715, which Stewart had spent months supporting. Then, like the weather, things turned south for the Bexar County man. Around 9:40 p.m., Sen. José Menéndez began to filibuster the bill in the Senate. Because of a procedural rule that prohibits legislative debate within the final day of the session, the San Antonio Democrat only had to talk until midnight to kill SB 715. He succeeded. But Stewart — and other Texans who want to be able to vote when cities eye their homes for annexation — may have a second shot at legislative help next month. Gov. Greg Abbott included annexation reform on the list of 20 items he wants the Legislature to address in a special session that begins July 18. Stewart has fought against the annexation of his home in Sable Chase for months, contending it would result in his family being charged hundreds of dollars in taxes for services he was already getting from an emergency services district. He brought an oversized scroll filled with thousands of anti-annexation signatures to a San Antonio City Council meeting last year. Council members voted to annex his neighborhood anyway. Stewart’s organization, Homeowners Against Annexation, raised enough money to bring a busload of activists to the Capitol to offer their support of SB 715 at the April Senate Intergovernmental Relations Committee hearing. Stewart’s 10-year-old daughter, Riley, testified. She cited the Gettysburg Address. Robin Lennon, co-founder of the Kingwood Tea Party and a proponent of SB 715, also testified before the committee. She has seen annexation up close. After Houston annexed Kingwood in 1996, Lennon said that streets fell into disrepair, water became more expensive and taxes went up. Now, she said she wants others to have a say in whether their homes are annexed. “It is not extreme, it’s American to let property owners vote,” Lennon said. Menéndez said he would be open to a compromise that allowed both current city residents and the soon-to-be-annexed to vote on annexation plans. “If you want democracy or a vote, let’s have everybody vote,” he said. Bennett Sandlin of the Texas Municipal League, which opposed SB 715, said annexation is a valuable tool for city planners. He contended that many of the concerns of annexation reformers were addressed by 1999’s Senate Bill 89, which mandated that cities had to submit an annexation plan at least three years before they absorbed a new area. Sandlin also noted that citizens like Stewart who live just outside city borders probably benefit from city services more than they realize. Zoos, airports and tourist attractions, for example, are all funded by city tax dollars. Despite Sandlin's arguments, if the debate over SB 715 had been limited to a discussion over individual voting rights, it likely would have passed. It was another contentious issue — that of development encroaching on military bases — that sunk the hopes of annexation reformers. Both legislative chambers passed versions of SB 715. But a committee of lawmakers whose job it was to iron out differences between the the House and Senate versions stripped out an amendment that would have allowed a city to regulate land use within five miles of a military base, as long as the land was in its extraterritorial jurisdiction. That's what prompted Menéndez’s filibuster. State Reps. Roland Gutierrez, D-San Antonio, and Hugh Shine, R-Temple, crafted the amendment to protect against unregulated development that might encroach on military bases, hoping to protect bases from closure. To that end, the amendment stipulated that any city regulations must comply with recommendations in a Department of Defense Joint Land Use Study. When private development creeps too close to a military installation like an airstrip, the military may judge a base unfit for its mission and close it. In the past two decades, two bases near San Antonio, Brooks Air Force Base and Kelly Air Force Base, were closed. 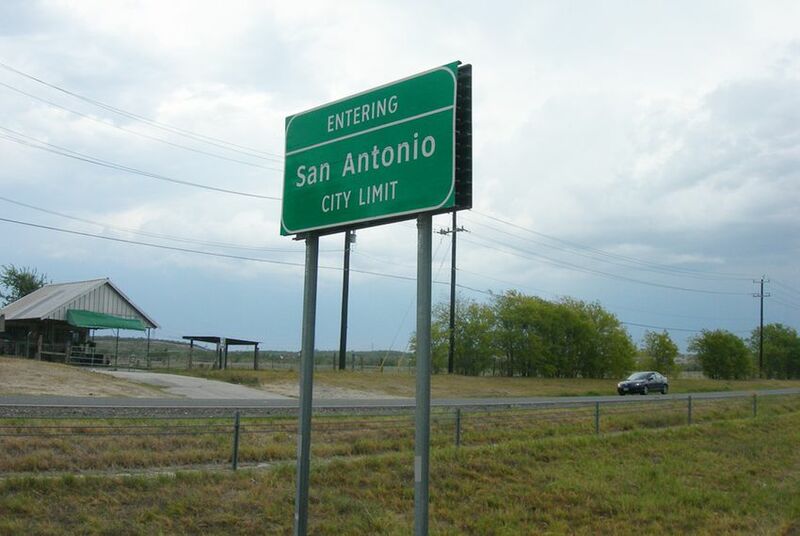 The City of San Antonio, not wanting to lose another, cited concerns about development near Camp Bullis in its annexation proposal for Stewart’s neighborhood near Interstate 10 west of San Antonio. Stewart said although he supports the military — he was born in a U.S. military hospital in Wiesbaden, Germany, to a military family — the encroachment issue is separate from the debate over annexation reform. Much of the land around San Antonino bases is either under no threat of development for environmental reasons or has already been developed, he said. Separate or not, elected officials from San Antonio like Gutierrez are likely to raise the military encroachment issue again in the special session. "Any annexation reform measure that jeopardizes the effective continuation of our military facilities threatens [a] pillar of our state's economy," Gutierrez wrote in a June 12 letter. Annexation reformers likely have the votes to pass similar legislation in July’s special session. But as Stewart knows all too well from the regular session, nothing is certain in Texas politics. Stewart said he is happy that his months of canvassing, fundraising and advocacy were not in vain. And he hopes that next month, the military base issue won't get in the way of new annexation rules that most lawmakers have already shown they support.